Every year, the Drug Enforcement Administration hosts drives to safely collect and dispose of old and expired prescription drugs. The Drug Enforcement Administration wants to take back your old prescription drugs. The idea is simple: the annual Drug Take-Back Day gives people a safe place to turn in old or outdated prescription medications, some of which are controlled substances. Last year, a record number of pills were turned over to law enforcement. DEA hosted the first drug take-back day in 2010. 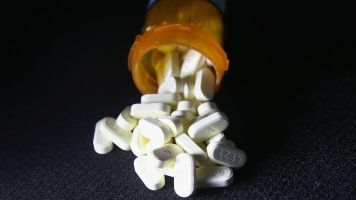 Studies show people who become addicted to opioids often start by stealing or buying old pills from friends and family. The Department of Health and Human Services says the opioid problem in the U.S. is an "epidemic." According to the Centers for Disease Control and Prevention's most recent data, an of average 90 deaths in the U.S. every day are linked to opioids.